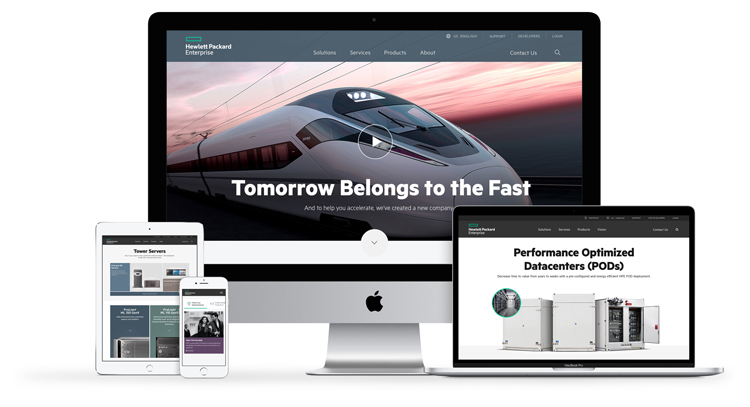 My team was responsible for the creation and launch of HPE.com. A hard launch date was set in preparation of Meg Whitman’s formal announcement at HP’s 2015 London Keynote. Whitman claimed the launch of HPE to be the biggest thing Hewlett Packard had done since founding Silicon Valley in 1939. We delivered the 90+ page site in 6 months making headlines in every major business publication.